On 22nd March I had the great pleasure of meeting a delegation of 15 Chinese publishers from the largest publisher in China, the China Publishing Group, and presented a two-hour session to them on academic publishing in the UK and, more specifically, the university-based open access publishing model forged by UCL Press. CPG, which was ranked no.14 in the 2014 Top 50 Global Publishing Groups, has been in the Top 30 of Chinese Cultural Enterprises for six consecutive years, and owns 40 individual publishing companies and imprints which produce over 10,000 titles per year. Importantly, it concludes licensing agreements with overseas publishers for over 1,000 books and journals per year, and comprises China’s biggest publications import and export enterprise, importing and exporting over 200,000 titles every year. CPG also owns 28 overseas publishing houses and bookshops. The publishers I met reflected the wide range of publishing that takes place in the CPG family – scholarly, children’s, poetry, encyclopedias, and art and architecture to name just a few. The delegates were in England as part of a three-week training programme during which they met publishers, wholesalers, PR agencies and others in the publishing industry, to gain greater insights into the possibilities for doing business with publishers in the UK, and their trip also included attendance at the London Book Fair, who had organized their training programme. I was joined during the session by one of UCL Press’s authors, Dr Gabriel Moshenska, Senior Lecturer in the UCL Institute of Archaeology, whose textbook, Key Concepts in Public Archaeology, has just been published by UCL Press. Gabe explained from an author’s point of view why open access publishing is so important i.e. the ability to communicate his ideas to a wide global readership, and why open access textbooks in particular are increasingly important for supporting the student experience and for making UCL teaching resources available globally, thereby raising the profile of UCL teaching and research. We demonstrated UCL Press’s online publishing platform, which features scholarly functionalities such as highlighting, making notes, saving personalised copies of books, sharing and citation. The CPG publisher for fine art books was particularly interested in the subject of public archaeology, a field that was pioneered at UCL and has been taught here for twenty years. There is growing international interest in public archaeology in countries such as the US, Australia, Italy, Sweden and China. We were able to tell the delegates about UCL’s global standing, particularly in subjects such as archaeology, architecture and education. The publishers asked a range of perceptive questions about the Press’s model, for example, could a particularly successful OA book raise an author’s profile to the extent that they decide to publish elsewhere with a commercial publisher, and how the endeavour is financed. In China, open access does exist for journals but not yet for books. Print books are in any case sold at a very low price, between £2.50 and £3.50 typically, and, according to one of the publishers who works for CPG’s academic imprint, scholarly monographs can sell in relatively large numbers ie 4000-5000 copies, so the scholarly publishing model in China does not suffer from the same degree of problems as the Western one. One particular barrier in China to open access for monographs is a culture in which free things are not trusted to be of good quality. And as in the UK and US, publisher brand prestige is hugely important. In order for UCL Press to make its books available in China in Chinese, it will need to arrange licensing deals between a Chinese publisher and the author, for the Chinese publisher to translate and sell the work in China, which is the usual way books are licensed to foreign-language publishers. UCL Press has had expressions of interest in some of its books from Chinese publishers and as our publishing programme continues to expand, this interest is likely to grow. While we would ideally like our books to be published open access around the world, we recognize that the OA model for books is not yet widely enough developed and therefore we accept that a commercial model for making the books available in other languages can be the only available route. This is with the notable exception of books in our social media series, Why We Post, which the WWP project has undertaken to translate into all eight languages of the project. These will be published by UCL Press as open access, with the exception perhaps of the two Chinese titles, Social Media in Industrial China and Social Media in Rural China, for which there is strong interest from Chinese publishers who are unlikely to agree to publication of a simultaneous OA Chinese version. UCL Press will of course always make the English language version of our books available as open access to a global audience, something the publishers from CPG did not think would be a barrier to Chinese publication. All in all, it was a fascinating couple of hours exchanging ideas and information about different publishing models. 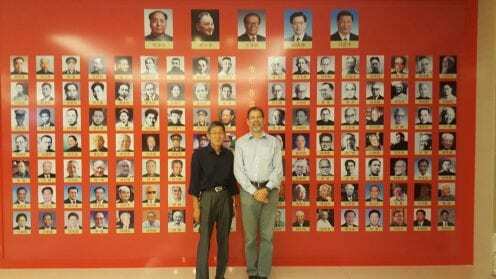 The Beijing Book Fair beckons! Today’s excerpt is from Social Media in Industrial China by Xinyuan Wang, UCL Deprtment of Anthropology. The girl then took out her smartphone, showing her friends the evidence she had spotted on QQ. I am much more bold and romantic on QQ … you just wouldn’t say those sweet words face to face … And I used lots of cute stickers when we were chatting on QQ, which made her find me really funny. In big cities people won’t make a fuss [about kissing in public]. But here some traditional people would dislike it … but the good thing is they are not on my QQ! My girlfriend said she was not sure about my love, unless I showed it in public (gong kai); Once I set up the QQ group and show my love for her she will believe me. On this QQ group, every few hours Lujia wrote something along the lines of ‘ … darling you are the most beautiful woman in my life and I love you so much’. Clearly not everybody thought Lujia’s declaration of love quite as sweet as his partner did, and most people soon quit the group. As one former member complained, ‘he thought QQ was his own place to do whatever he wanted … But why should I read screenfuls of such goosebump-arousing nonsense?’ What was evident in Lujia’s case was that ‘audiences’ felt extremely disturbed and offended. 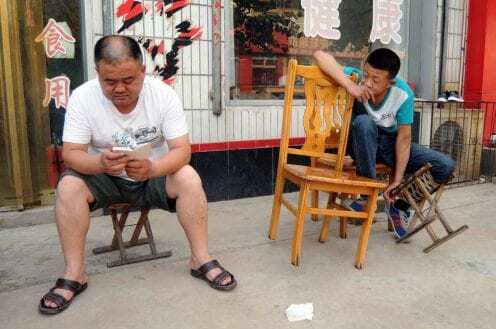 Unlike posting something on one’s own social media profile, Lujia’s QQ group messaging, which constantly tried to grab people’s attention to witness something of little relevance for them, was way too aggressive and inappropriate. Even though substantial information from the above correspondence was very limited, everyone who read the dialogue got the message that these two people were close to each other and that their relationship was exclusive. That is exactly the reason why, rather than this taking place on the seemingly more convenient and private basis of one-to-one chatting, the couple chose to talk secretly ‘in public’. Such ‘coded’ intimate talk on QQ between lovers skilfully displayed love in public without disturbing others too much. Each time, when we had some friction, he would update his QQ status immediately with things like ‘please introduce girls to me, I need a girlfriend, blah blah … I really hated him for that! Two weeks after their break-up, Huang Ling was still complaining about her ex’s outrageous QQ usage, and every female friend of hers expressed the same resentment. As one of her close female friends remarked, ‘How could he say so regardless of the place and the situation (chang he)?! He just wanted her to lose face’. Ling applied some ‘media sanctions’ to cope with the break-up’s aftermath. First of all she locked her Qzone, which means nobody could view it except herself. I need some space you know. I don’t want people to gossip about my break-up. Even though they do it out of kindness, I still find it so annoying. Because some of my family members are on Qzone, I don’t want to scare my relatives and other friends. Whereas the circle of friends on WeChat is much smaller; most of them are just colleagues at the factory, so it won’t cause me too much trouble. And he [the ex-boyfriend] will see the photo either way as he is also my WeChat friend. If we view Huang Ling’s story together with the accounts of Xiao Yu’s careless display of a kiss photo on Qzone and Lujia’s less successful public display of love on QQ group, a more comprehensible picture emerges. First of all, we need to recognise that social media provides many possibilities; it enables people to practise romantic relationships online with much greater freedom than in offline situations. Social media has also become an essential arena in which romantic relationships take place in daily life. However, a more liberating place online does not equal fewer social norms. New norms about what is appropriate or inappropriate on social media dealing with romantic relationships emerged almost immediately. For instance, the release of private problems between couples on social media usually brought immense embarrassment, serving to trigger even worse consequences than in an offline situation. Sociologist Erving Goffman12 used the word ‘frame’ to explain how people’s behaviour is cued by elements that constitute the context of action. In the frame of social media, people were not only aware of the private/public nature of social media, but also intentionally played around with it to express the exclusiveness and intimacy of relationships – even though not everyone was successful at first. Also, from the frequently applied and highly valued public displays of love on social media, we see how on social media the perceived public gaze is just as strong as in the offline situation. Online, young rural migrants may be free from the disapproval and judgement of senior relatives and fellow villagers, yet their peers’ opinions or those of even strangers were highly valued, and can also cause concern. Regardless of what kind of social rules one follows, as long as there are ‘others’ the risk of ‘losing face’ always exists, and sometimes the uncertainty of who is watching online exacerbates the anxiety. Another point that emerged from the varied use of social media in romantic relationships is that, in order to make sense of sociality on social media, a whole range of available communication tools must be taken into account. As suggested by the concept of ‘polymedia’,13 it makes no sense to study only one particular media platform in isolation – the meaning and use of any one of them is relative to the others. As is clearly shown in Huang Ling’s situation, her choice of WeChat only made sense in comparison with the role that QQ and mobile phones played in her social life. Furthermore, in a polymedia environment, once one has either the smartphone or a personal computer, the decision which media to use is no longer much affected by either access or cost; instead it becomes a social and moral choices. For instance, in Lujia’s case, his choice of using QQ group messaging to declare his love for his girlfriend had been regarded as very inappropriate. The approach of polymedia, as well as the arguments put forward about new social norms on social media, are not confined to the analysis of romantic relationships on social media. Today’s guest post is by Xinyuan Wang, author of Social Media in Industrial China. 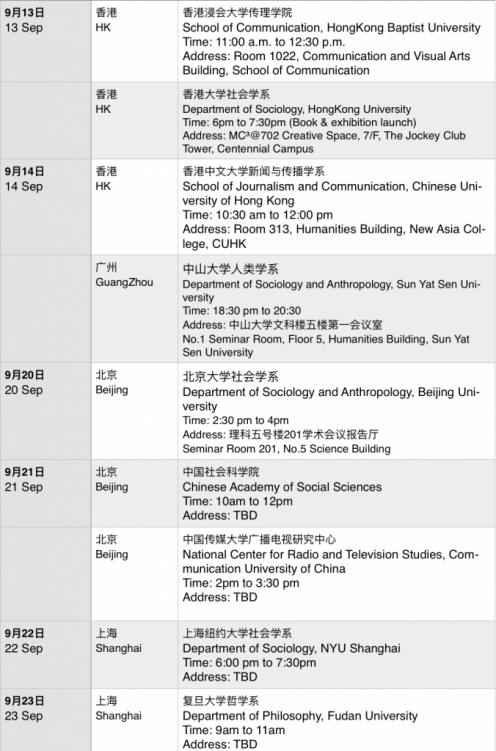 Between 12th-24th September 2016, Professor Daniel Miller and two researchers on the Why We Post project, Tom McDonald and Xinyuan Wang, will give a series of talks about the findings of the project at nine top universities in HongKong, Guangzhou, Beijing, and Shanghai. 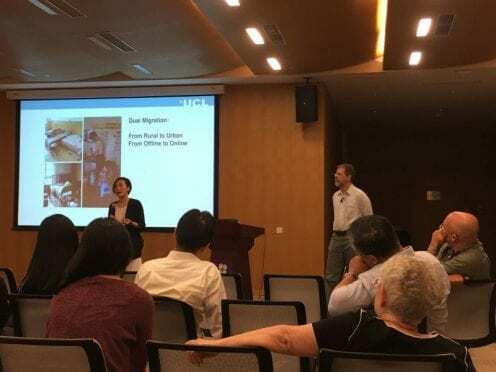 This China tour also include the launch (13th September) of the two newly released open-access books: Social Media in Industrial China (Wang, 2016) and Social Media in Rural China(McDonald, 2016). If you can’t be with us in Hong Kong, do join our live-streamed launch and put your questions to the authors. 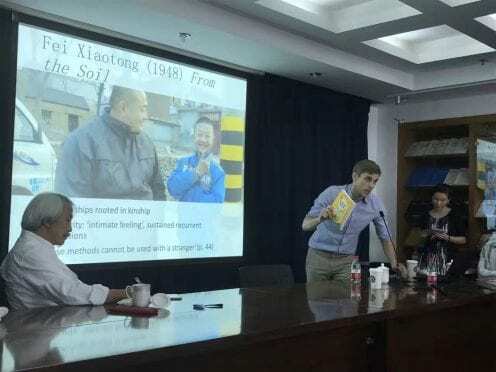 The project includes a considerable amount of material on China such as the two newly released open-access books by UCL Press; one of the five weeks of the Anthropology of Social Media e-course; and a series of films set in the Chinese fieldsites. All of our short films (more than 100) about the uses of social media from our nine field sites have Chinese subtitles, and ourwebsite and e-course are both available in Chinese. 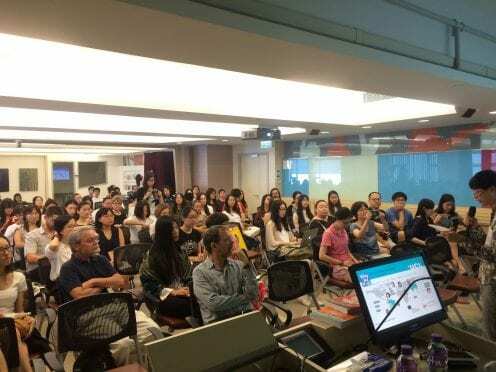 Bringing an anthropological understanding of Chinese social media in the context of a comparative study back to China is a big commitment the project’s ultimate goal of turning global research into free global education. Xinyuan Wang is a PhD candidate at the Dept. of Anthropology at UCL. She obtained her MSc from the UCL’s Digital Anthropology Programme. She is an artist in Chinese traditional painting and calligraphy. She translated (Horst and Miller Eds.) Digital Anthropology into Chinese and contributed a piece on Digital Anthropology in China.